TRANSMISSION, 6-SPEED AUTOMATIC, ELECTRONICALLY CONTROLLED WITH OVERDRIVE, SEATS, FRONT BUCKET WITH RECLINING SEATBACKS AND ADJUSTABLE HEAD RESTRAINTS, RED HOT, LS PREFERRED EQUIPMENT GROUP includes Standard Equipment, LICENSE PLATE BRACKET, FRONT, JET BLACK/MEDIUM TITANIUM, PREMIUM CLOTH SEAT TRIM, ENGINE, ECOTEC 1.8L VARIABLE VALVE TIMING DOHC 4-CYLINDER SEQUENTIAL MFI (138 hp [102.9 kW] @ 6300 rpm, 125 lb-ft of torque [168.8 N-m] @ 3800 rpm), Wipers, front intermittent, variable, Windows, power with Express-Down on all, Wheels, 16 (40.6 cm) steel with silver-painted wheel covers. This Chevrolet Cruze Limited has a strong Gas I4 1.8L/110 engine powering this Automatic transmission. * Experience a Fully-Loaded Chevrolet Cruze Limited LS *Wheel covers, bolt-on, silver-painted, Visors, driver and front passenger vanity mirrors, Trunk emergency release handle, Transmission, 6-speed automatic, electronically controlled with overdrive, Traction control, Tires, P215/60R16, all-season, blackwall, low rolling resistance, Tire, compact spare and spare wheel, includes jack and lug nut wrench, Tire Pressure Monitor, Theft-deterrent system with anti-theft alarm and engine immobilizer, Suspension, rear, compound crank, Suspension, front independent McPherson strut, aluminum control arms with hydraulic bushings, 25mm hollow stabilizer bar, Steering, power, electric, rack-mounted, Steering wheel, 3-spoke, comfort grip, Steering wheel controls, mounted audio and phone interface controls, Steering column, tilt and telescopic, StabiliTrak, stability control system, Seats, front bucket with reclining seatbacks and adjustable head restraints, Seat, rear 60/40 split-folding with adjustable head restraints on outboard positions, Seat trim, Premium cloth, Seat adjuster, front passenger 6-way manual. * Stop By Today *For a must-own Chevrolet Cruze Limited come see us at Moss Used Super Store, 1545 SE Evangeline Thruway, Lafayette, LA 70508. Just minutes away! TRANSMISSION, 6-SPEED AUTOMATIC (STD), SEATS, FRONT BUCKET (STD), MOSAIC BLACK METALLIC, LS PREFERRED EQUIPMENT GROUP Includes Standard Equipment, JET BLACK, PREMIUM CLOTH SEAT TRIM, ENGINE, 1.5L TURBO DOHC 4-CYLINDER DI with Variable Valve Timing (VVT) (160 hp [119.3 kW] @ 5700 rpm, 184 lb-ft torque [248.4 N-m] @ 2500-3000 rpm) (STD), AUDIO SYSTEM, CHEVROLET MYLINK RADIO WITH 7 DIAGONAL COLOR TOUCH-SCREEN, AM/FM STEREO with seek-and-scan and digital clock, includes Bluetooth streaming audio for music and select phones; featuring Android Auto and Apple CarPlay capability for compatible phone (STD), Windows, power with Express-Down on all, Wheels, 16 (40.6 cm) aluminum, Wheel, spare, 16 (40.6 cm) steel. This Chevrolet Malibu has a dependable Turbocharged Gas I4 1.5L/91 engine powering this Automatic transmission. * Experience a Fully-Loaded Chevrolet Malibu LS *Warning indicator, front passenger safety belt, Visors, driver and front passenger vanity mirrors, covered, Trunk latch, safety, manual release, Transmission, 6-speed automatic, Tool kit, road emergency, Tires, P205/65R16 all-season, blackwall, Tire, compact spare, T125/80R16, Tire Pressure Monitor System, Theft-deterrent system, content theft alarm, Temperature display, outside, Teen Driver, Suspension, rear 4-link, independent, Suspension, front MacPherson strut, Steering wheel, 3-spoke, Steering wheel controls, mounted controls for audio, phone and cruise, Steering column, tilt and telescopic, StabiliTrak, stability control system with brake assist includes Traction Control, Seats, front bucket, Seat, rear 60/40 split-folding, Seat adjuster, front passenger 6-way manual. * Critics Agree*IIHS Top Safety Pick with optional front crash prevention, KBB.com 10 Best Sedans Under $25,000, KBB.com Best Family Sedans, KBB.com 10 Most Comfortable Cars Under $30,000, KBB.com 10 Most Awarded Brands. * Visit Us Today *For a must-own Chevrolet Malibu come see us at Moss Used Super Store, 1545 SE Evangeline Thruway, Lafayette, LA 70508. Just minutes away! WIRELESS CHARGING FOR DEVICES, WHEELS, 17 (43.2 CM) ALUMINUM (STD), UNIVERSAL HOME REMOTE includes garage door opener, 3-channel programmable, TRANSMISSION, 6-SPEED AUTOMATIC (STD), TIRES, P225/55R17 ALL-SEASON, BLACKWALL, SUNROOF, POWER, TILT-SLIDING with additional skylight fixed glass aft of the sliding glass and sunshade; includes (UG1) Universal Home Remote, SUMMIT WHITE, STEERING WHEEL, LEATHER-WRAPPED 3-SPOKE, SHIFT KNOB, LEATHER-WRAPPED, SEATS, FRONT BUCKET (STD). This Chevrolet Malibu has a dependable Turbocharged Gas I4 1.5L/91 engine powering this Automatic transmission. * Experience a Fully-Loaded Chevrolet Malibu LT *CONVENIENCE AND TECHNOLOGY PACKAGE includes (BTV) remote vehicle starter system, (DD8) inside rearview auto-dimming mirror, (KI6) 120-volt power outlet, (UDD) color Driver information Center, (IO5) Chevrolet MyLink Radio, (K4C) Wireless Charging, (USS) dual USB charging-only ports in rear of center console, (N34) leather-wrapped steering wheel and (VY7) leather-wrapped shift knob Also includes (PZX) 18 aluminum wheels and (R0X) 245/45R18 all-season, blackwall tires.) , REMOTE VEHICLE STARTER SYSTEM, POWER OUTLET, 120-VOLT located on the rear of center console, MIRROR, INSIDE REARVIEW AUTO-DIMMING, LT PREFERRED EQUIPMENT GROUP Includes Standard Equipment, ENGINE, 1.5L TURBO DOHC 4-CYLINDER DI with Variable Valve Timing (VVT) (160 hp [119.3 kW] @ 5700 rpm, 184 lb-ft torque [248.4 N-m] @ 2500-3000 rpm) (STD), DRIVER INFORMATION CENTER, COLOR DISPLAY includes trip/fuel information, vehicle information and vehicle messages, DARK ATMOSPHERE/MEDIUM ASH GRAY, PREMIUM CLOTH SEAT TRIM, AUDIO SYSTEM, CHEVROLET MYLINK RADIO WITH 8 DIAGONAL COLOR TOUCH-SCREEN, AM/FM STEREO with seek-and-scan and digital clock, includes Bluetooth streaming audio for music and select phones; voice-activated technology for radio and phone; featuring Android Auto and Apple CarPlay capability for compatible phone, AUDIO SYSTEM FEATURE, USB CHARGING-ONLY PORTS, DUAL located in the rear of the center console, Windows, power with Express-Down on all, Window, power with driver Express-Up/Down, Wheels, 17 (43.2 cm) aluminum (Built out for 2018MY. ), Wheel, spare, 16 (40.6 cm) steel, Warning indicator, front passenger safety belt, Visors, driver and front passenger illuminated vanity mirrors, covered, Vent, rear console, Trunk latch, safety, manual release, Trunk cargo anchors, Transmission, 6-speed automatic. 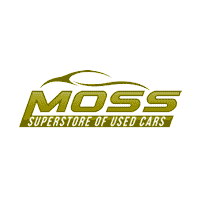 * Visit Us Today *Come in for a quick visit at Moss Used Super Store, 1545 SE Evangeline Thruway, Lafayette, LA 70508 to claim your Chevrolet Malibu!